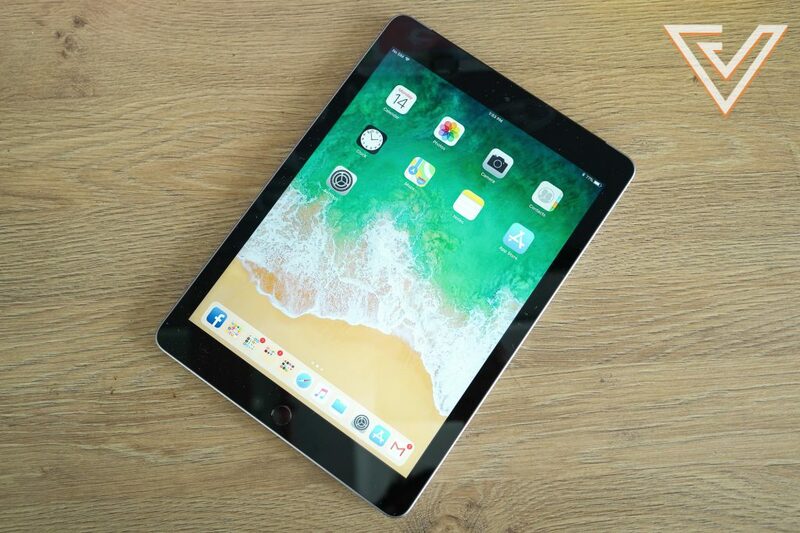 In their Q2 2018 earnings result, Apple have sold a reported 9.1 million units of the iPad. They are not stellar numbers like the iPhone’s, but this still shows that there is still demand for the iPad, which now caters to both creative professionals with the iPad Pro and the everyday user with the regular iPad. 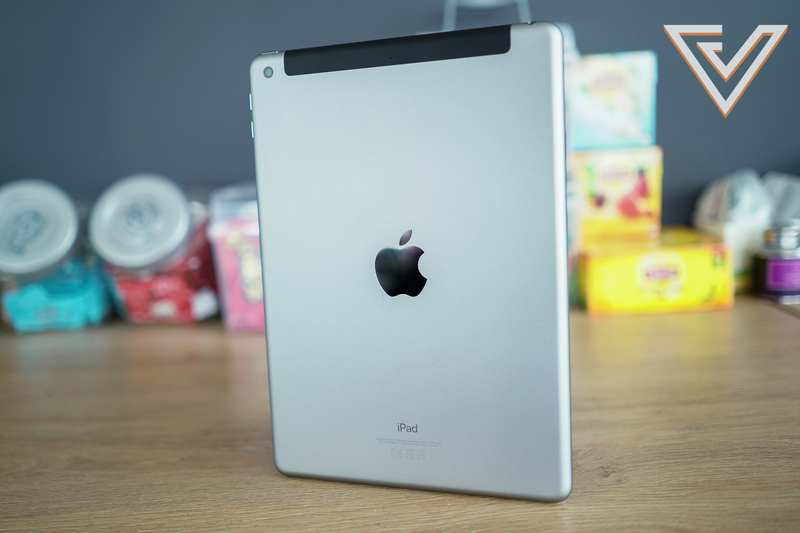 If you think about it, a “bad iPad” never existed – it’s just a matter of whether you wanted or needed one. With little to no competition in the tablet space, the iPad only got better each year when it is refreshed at any of Apple’s major product announcements. We were in Chicago when Apple announced the 2018 iPad as part of it’s education focused keynote. While it is clear that this iPad is central in Apple’s plan to convert more schools into using their education platform in curriculums, that doesn’t mean that everyone else cannot enjoy the upgrades that Apple has put into it. Basically what you need to know about this new iPad is that it’s the same 9.7 inches as the previous one, rocks an A10 Fusion chip from the iPhone 7, now available in 128GB of storage, comes in silver, space are and gold, and the big one, Apple Pencil Support. Cosmetically the only way you can tell the 2018 iPad from its Pro siblings apart is the smaller size (Pro starts at 10.5”), the lack of a smart connector, and no camera bump. That camera is not spectacular but it’s better than nothing in a pinch. On the cellular models, there’s a plastic panel on the back at the top side to allow LTE connectivity. While aesthetically awkward, it’s been around since the very first 3G iPad. Otherwise, it’s still the same iPad you know and love from years past, that is until you pair this new one with an Apple Pencil. That’s when a whole new world opens up. 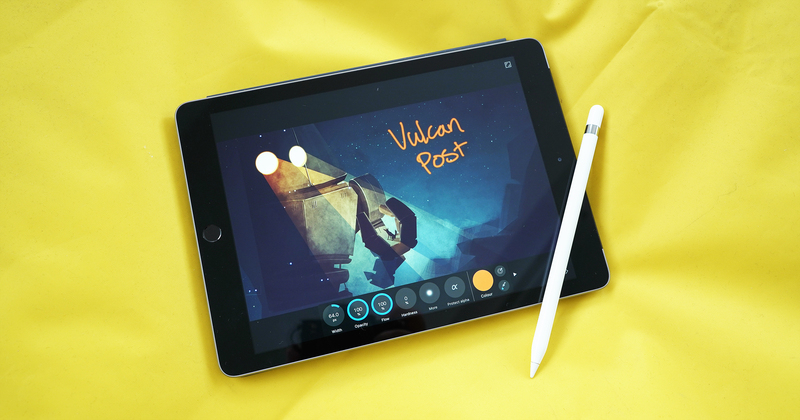 Apple Pencil support is a feature that many users have been waiting for on the iPad ever since its introduction with the iPad Pro. And sure enough, it just works, just like any other Apple product. Unfortunately we still have to live with plugging the Apple Pencil into the iPad’s Lightning port to pair and charge it, as inconvenient as that is. Coming from the iPad Pro, I can feel the latency when drawing on the 2018 iPad, and even just scrolling through the UI. That’s to be expected since this iPad doesn’t have the same processor and screen. If you are upgrading from an older generation iPad though, the difference in performance will have you breezing through content endlessly from the minute you pick up the new one. With the Apple Pencil, the iPad is pretty much one of the most affordable creative tools for creating content for the casual user. 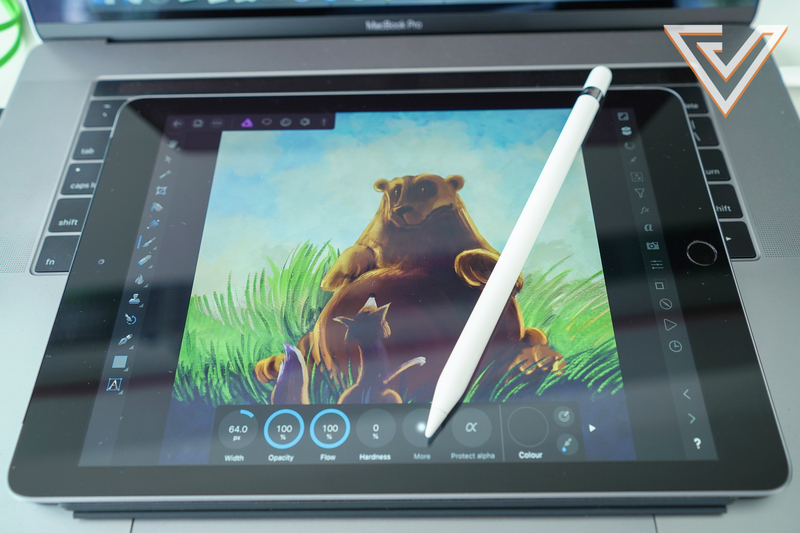 Apple has a ton of free native apps that is able to take advantage of the Apple Pencil, and in the App Store there’s countless more from even the likes of Adobe. Or if you want to take a break from all the creative stuff, you can also try out apps which were featured during the Chicago keynote. 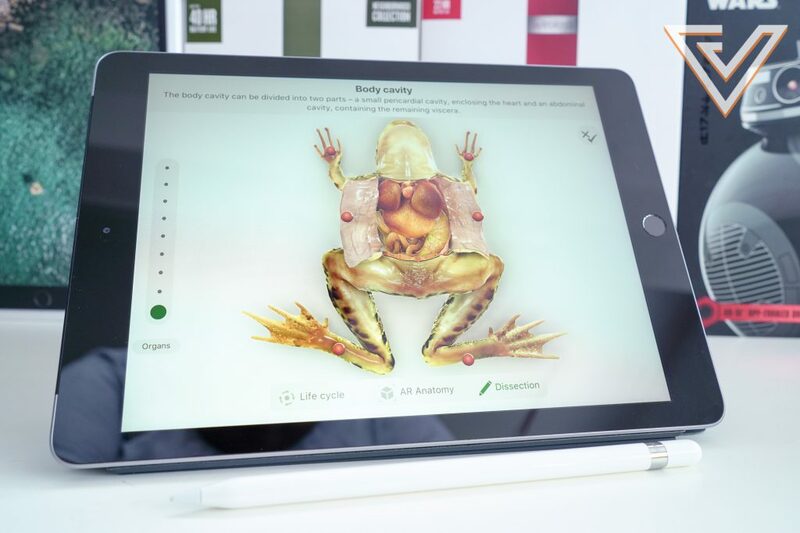 Use the Apple Pencil to have some fun learning about (and dissecting) frogs in Froggipedia, or dive into the world of Augmented Reality with Boulevard AR and visit the National Portrait Gallery in London to view some of the best artworks ever created. A little note about Froggipedia – the pressure sensitivity of the Apple Pencil is active in the app. So how hard you press on the screen will affect the dissection, and the app will give warnings if you are cutting in too deep into the digital frogs. As much as the Apple Watch is presented as a perfect accompaniment to the iPhone, the iPad is probably something more people will gravitate towards. Especially since the 32GB iPad costs as much as the 38mm Apple Watch Series 3 at S$498. 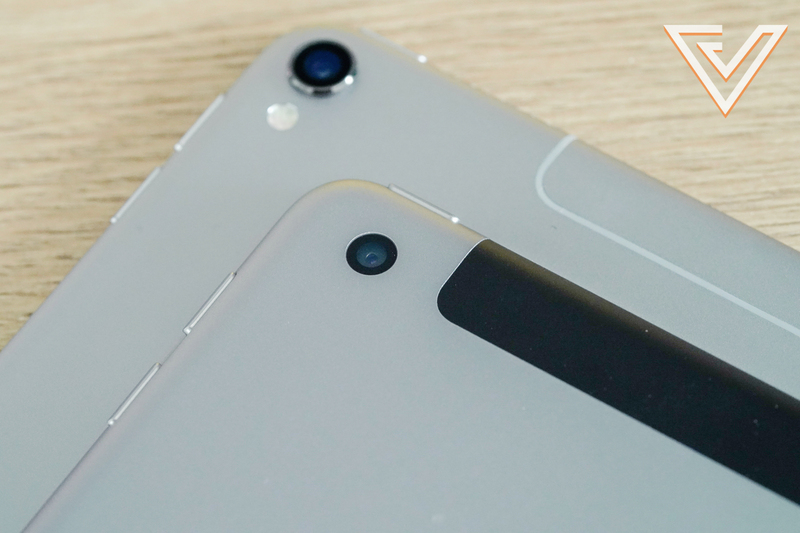 The iPad is a natural extension to the iPhone, giving users the ability to do more that what they can on their iPhone. Sometimes watching Netflix or Youtube, and even playing games can get pretty strenuous on a small screen. For professionals who don’t travel with a laptop, having the iPad to catch up on some emails and reports is certainly a more productive alternative in a device that doesn’t take up a lot of luggage space. The iPad is available from the Apple Store and authorised resellers in Silver, Space Grey, and Gold. Wifi-only models will cost you S$498 for the 32GB and S$648 for the 128GB, while cellular models are S$698 for 32GB and S$848 for 128GB. I think you’ll be hard pressed to find a similar tablet in the market today at the same price point as the iPad that can deliver a similar feature set and performance.